In a co-branding commercial, the timing of your co-branding info and product benefits will either make or break the co-branding partnership. Presenting product benefit information at a delay after co-branding information will benefit the less-known brand. You are convinced it will be a great success; how could anybody resist this lovely story, these marvellous beanies? However, after distancing yourself from your pink cloud eyesight, you realize there are lots of these caps on the market. How are you going to stand out in the crowd? Then you know what to do: create a co-branding relationship with a popular brand. This always works out great, right? So, you are going to find a buddy for your brand and create the perfect match for success. In this process of searching a well-known brand to form a co-branding relationship with, you know there are some pitfalls to avoid. If you’ve covered these risks you should also pay attention to the associations the established brand could transfer to your brand. Piece of cake; don’t go co-branding with a brand that brings up associations opposing yourself. An organic brand such as Earthbound Farm wouldn’t mingle with the likes of McDonald’s. So far so good. Make sure your product is compelling, stay in control over the product development and choose a well-established brand that brings up positive associations and feelings in the customer’s mind. A brand that fits with your values. This is the formula to success, you think. In the case of your beanies, you decided you want to build a co-branding relationship with Ben & Jerry’s. This seems to be the perfect match for you; a prominent Fair Trade brand that brings up positive associations, which will be transferred to your brand. A love story it will be. Unfortunately, like in every relationship, things are not that simple. Remember Sony Ericsson? Two great brands diving into a partnership, doomed to fail. Whereas there exists a common belief that positively established brands nearly always do good to less-known brand evaluations, research proves this is not the case. There’s one powerful factor that determines the direction of a co-branding partnership with a well-established brand: timing. More specifically, the time gap in your ad between the moment both brands are shown together and the moment you announce the product’s biggest benefit. 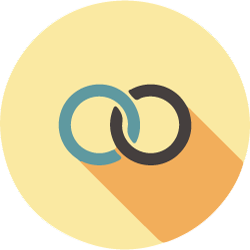 How could such a small aspect determine the success of your co-branding relationship? Initially, the prominence of a well-established brand withholds the less-established brand from getting its share of positive associations. The subsequent product information gets overshadowed. 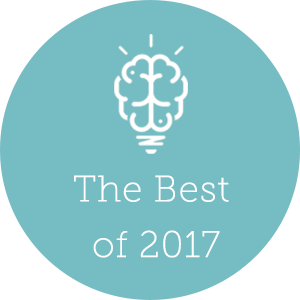 As we are not able to process too much information at once, a certain competition arises in the brains of your customer, which causes them to neglect the less famous brand. Putting in the recommended delay gives our brains some time to breathe and make the connections we need, be it consciously or not. This reverses the effects. Associations between the two brands are now strengthened, thereby positively influencing the evaluation of your brand. Yes. Without a doubt, the real game changer in co-branding relationships is timing. To illustrate, let’s think about the campaign we would make with Ben & Jerry’s. Picture this: a commercial, showing Ben & Jerry’s ice cream. Happiness automatically arises in your target group. Then your brand accompanies Ben & Jerry’s, demonstrating the partnership, immediately followed by the benefits of your product. You expect the positive feelings will be transferred to your beanies, straight away! Wrong. A commercial like this will probably even harm your brand. Now let’s take a totally different approach. 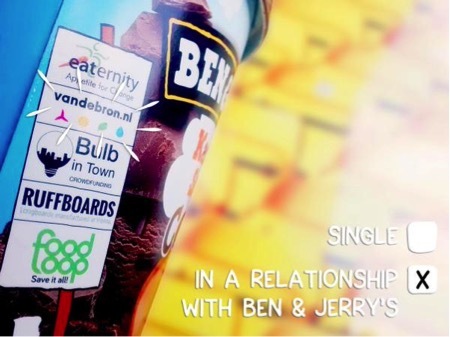 Ben & Jerry’s, followed by your brand, demonstrating the partnership. Now take a breath – give your audience some time to recuperate by putting in some fillers. At the end of the commercial: provide your product benefit. Done – the positive associations have been transferred and people will love your brand. So in the end, the message we want to give you is: just relax. Don’t go around shouting immediately all the great stuff your brand is up to. Give people the chance to make the right connections between your brand and the well-established one they already like, and your brand will soak up all positive associations. The timing of your co-branding info and product benefits will either make or break the co-branding partnership. You can probably imagine how to use this principle in your advertising commercials. But how about print? We have less control over the sequence and timing of consumers’ attention here. To avoid cue competition, it’s best to avoid showing both your announcement about the partnership as well as the outcome information in the same printed ad. Put a time gap in your ad between the moment both brands are shown together and the moment you announce the product’s biggest benefit, this has a positively influence on the evaluation of your brand. Cunha, M., Forehand, M. R., & Angle, J. W. (2015). Riding Coattails: When Co-Branding Helps versus Hurts Less-Known Brands. Journal of Consumer Research, 41(5), 1284-1300. Written by Hester Francken on Tuesday, 10 November 2015.